This semi-automatic POF 308 stripped lower includes POF’s infamous ambi bolt catch, ambi mag release and receiver tension screws features. With a .308 caliber and a black finish, this Patriot Ordnance G4 lower is compatible only in conjunction with the POF-USA 308 upper receiver. Manufactured from USA-sourced aluminum, you can expect strength and added rigidity without extra added weight. It also features an oversized integrated trigger guard that protects your trigger finger from scrapes or unexpected cuts when mounting your weapon or during extended firing sessions. 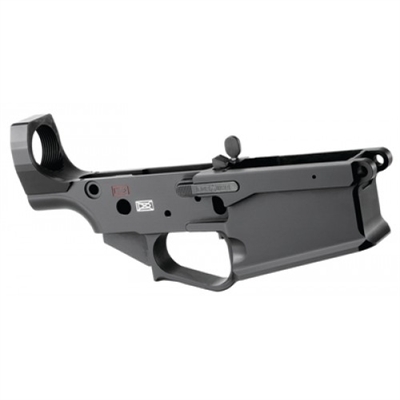 This particular P308 stripped lower has a black hard coat anodized finish. With this lower, you’re able to start the design of your very own custom tactical AR with a sturdy foundation. Find this POF lower for sale at Central Florida Gun and Tactical.